Oliver [Oliver was Maggie's son] wants me to write what I remember about our moving from Stevens County Minnesota to the White Earth Indian Reservation September 1895, 66 years ago. I was 11 years old that month so don’t expect too much, though I’ll do my best. My first knowledge of leaving the home we children loved was finding Mother weeping by a wagonload of corn she was husking. She said Dad was planning to move again, and this time to live among the Indians. I had read the book of Sitting Bull and was deathly afraid of Indians. But Dad wanted to go where the wood was plentiful and was tired of having to haul it 20 miles from Morris,Minnesota, and believe you me, not a chip was wasted. He had been a scout during the Indian outbreak in his young days and claimed they were his best friends and how true that was; it was proven at his funeral in February 1918. The church was packed with Indian friends and not many dry eyes either. Now to go back to the moving : we started out a day or two before my birthday and spent 5 days on the road. 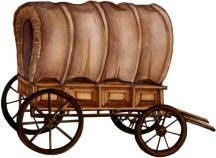 The first wagon was Dad (47), Mother (44), and the three youngest [Gertie 3 ½, Matt 6, Nettie 8]. Their wagon had a high box fixed for a canvas top but the weather was so nice it wasn’t needed. It had the tent, grub, bedding, and camping outfit. That wagon was drawn by Dad’s Indian ponies, “Gray Kit” and “Buckskin”, a palomino. Years later they both died of old age. The next wagon was drawn by the broncos “Pete” and “Charlie”; driven and tended to by my sister Mary (17) and myself when we were not driving cattle. It had furniture and household goods. Next was brother John’s (19) team “Dan” and “Queen” and a hayrack same as ours except it had livestock, such as sheep, small calves, chickens, geese, turkey, duck and pigs. We even had a box filled with pigeons. The other two wagons, also hayracks, had more stock and machinery. One was driven between the three boys: Joe (16), Nick (14) and Hank (9), when they weren’t driving cattle and colts. The other and last wagon with more of same was driven by our brother-in-law John Daley (32), sister Anna’s husband, who helped us move and who was later helped to move up there too by our boys the same fall. They had sold some of the stock. I know they sold sheep ‘cause my pet Bessie had to go and how I mourned her. I never owned a pet again. We lived 9 miles south of Chokio, Minnesota and as we were going north, the first town we hit after Chokio was Herman and there spent our first night with a family named Maders whom our parents knew and I’ve always remembered that place. We kids were given oatmeal for our supper and I couldn’t get enough; seemed as though I’d never eaten anything so good. I must have been real hungry. Then the next night was spent by some buildings on a deserted farm, I suppose for water and barn room for the working horses. We kids looked the house over but we slept in the tent which was a large one. We had ticks filled with straw or hay which we put head to head down the center of the tent, then a row of pillows. Dad and the boys on one side and mother and we girls on the other and our heads met in the middle. I don’t remember much about cooking and eating except we had wild duck once. The next night we camped near Fergus Falls and near enough to the asylum to be able to hear some of the inmates shouting. The 2 Johns walked over to take a look but I don’t remember what they saw or heard. The next and 4 th night we landed at Pelican Rapids. That was where we found the wild grapes and I ate so many my mouth was quite sore so I didn’t forget it. The 5 th and last night we camped at Audubon near Detroit Lakes and the next day I remember so well. Little 9-year-old Hank and myself were helping Joe with the cattle and how tired we were. I’ll never forget, with all the extra running we sure made miles that day. It got pitch dark and we both fell in a creek that had water in it so got sopping wet and ready to cry when we spied a tiny light far off. Joe of course knew we were on the home place. He had been there during the summer to plow. He didn’t let on though and said, “You kids run up to that light and ask if we can stay there the night.” The cows went wild in the green mustard field so we let them go and started for that light which seemed so far away but then we saw the wagons and you can imagine our relief and joy. Hank and I often talked about that trip and it still made us feel tired. *Hank’s wife, Ester, wrote an addendum to Maggie’s memoir: Hank often talked about that night they arrived at their destination. He said, “The next morning the cows were not to be found and they were gone for 3 days when they finally came back (maybe they needed water and salt).” Well, they hadn’t been milked for so long and of course their udders must have been hard but I guess they got them back to normal. They never expected to see the cattle again, being they were in a strange place. The boys had to herd them till fences were put up.